PrimeGlobal announced a new world chairman and welcomed three new members to its world board of directors. 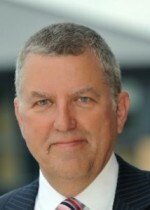 Chairman, World Board of Directors: Peter Davies – Managing Partner, CK Chartered Accountants (West Midlands, UK). Member, World Board of Directors: Richard Fisher – Principal, Berntson Porter & Co. PLLC. (Bellevue, Wash., USA). Member, World Board of Directors: Richard Linder – Partner, SingerLewak (Los Angeles, Calif., USA). Member, World Board of Directors: Mark Worsey – Partner, Buzzacott (London, UK).